This is one of those "out there" builds, but it's also pretty neat. 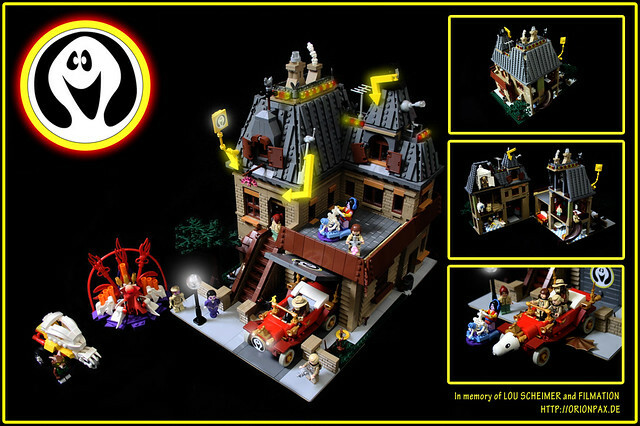 This is based on Filmation's Ghostbusters, not to be confused with the movie we all know and love, and not to be confused with The Real Ghostbusters, the animated series based on the movie. This is the animated series based on the 70's Saturday morning show The Ghost Busters (which I remember, I'm old). It was a favorite of Orion Pax, and now he has his very own playset.